We obtain a complete derived equivalence classification of the cluster-tilted algebras of Dynkin type E. There are 67, 416, 1574 algebras in types E 6, E 7 and E 8 which turn out to fall into 6, 14, 15 derived equivalence classes, respectively. This classification can be achieved computationally and we outline an algorithm which has been implemented to carry out this task. 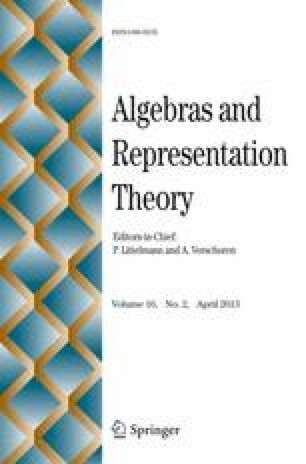 We also make the classification explicit by giving standard forms for each derived equivalence class as well as complete lists of the algebras contained in each class; as these lists are quite long they are provided as supplementary material to this paper. From a structural point of view the remarkable outcome of our classification is that two cluster-tilted algebras of Dynkin type E are derived equivalent if and only if their Cartan matrices represent equivalent bilinear forms over the integers which in turn happens if and only if the two algebras are connected by a sequence of “good” mutations. This is reminiscent of the derived equivalence classification of cluster-tilted algebras of Dynkin type A, but quite different from the situation in Dynkin type D where a far-reaching classification has been obtained using similar methods as in the present paper but some very subtle questions are still open. This work has been carried out in the framework of the priority program SPP 1388 Darstellungstheorie of the Deutsche Forschungsgemeinschaft (DFG). J. Bastian and T. Holm gratefully acknowledge financial support through the grant HO 1880/4-1. S. Ladkani was supported by a European Postdoctoral Institute (EPDI) fellowship. He also acknowledges support from DFG grant LA 2732/1-1 in the framework of the priority program SPP 1388 “Representation theory”. Bastian, J., Holm, T., Ladkani, S.: Derived equivalences for cluster-tilted algebras of Dynkin type D. Preprint available at arXiv:1012.4661.